It was a busy weekend in local sports. The following is a complete look-back on what transpired . . . The Manitoba Junior Hockey League's Neepawa Natives went 1-1 after games on Friday and Sunday night. On Friday night, Dauphin scored three goals in the first period and were able to net two more tallies in the second as five different Kings' scorers helped Dauphin build a 5-0 lead. Tyler Durdle would get Neepawa on the board at the 16:20 mark of the second, making the score 5-1 after two periods. Robbie Moar and Clarke Rempel would score for Neepawa in the third, but it wasn't enough as the Natives lost 5-3 to Dauphin. Kings' netminder Brian Archibald made 25 saves for the win. 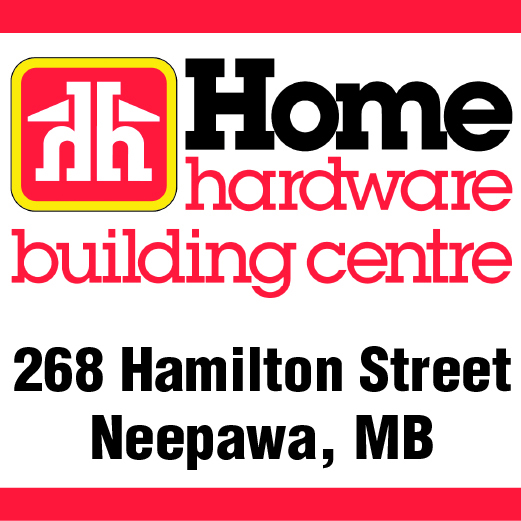 On Sunday, Neepawa's three second period goals lifted the Natives to a 3-0 win over Waywayseecappo. Justin Dalebozik scored two goals while Clarke Rempel netted the other tally in the victory for Neepawa. Jeff Stallard stopped 36 shots in net for Neepawa, earning the win. He was also named first star on the night. Neepawa now sits with a record of 4-6-0 on the year. The Western Hockey League's Brandon Wheat Kings have reassigned 17-year-old forward Quintin Lisoway to the Steinbach Pistons of the Manitoba Junior Hockey League. A former ninth-round bantam draft pick of the Wheat Kings in the 2010 WHL Bantam Draft, the 5-foot-10, 185 pound Neepawa product had one assist in three games with Brandon this season. Lisoway is coming off a season that saw him score 21 goals and 46 points with an Omaha, Nebraska midget team in 2011-12. The move leaves the Wheat Kings with 24 players on their roster -- two netminders, eight defencemen and 14 forwards. Meanwhile, the Wheat Kings dropped two games on Friday and Saturday night at Westman Communications Group Place. On Friday, Brandon dropped a 3-2 overtime decision to the Everett Silvertips. Landon Oslanski scored the game winner 1:17 into overtime for Everett. John Quenneville and Jens Meilleur had a goal and an assist each for Brandon. On Saturday, the Wheat Kings fell to the Tri-City Americans by a score of 4-3. Alessio Bertaggia had two goals and an assist for Brandon in the loss. The Wheat Kings will now head out on a seven-game road trip, which begins on Tuesday in Medicine Hat. The Yellowhead Chiefs remain undefeated in the Manitoba Midget AAA Hockey League. The Chiefs scored four goals in the first period en route to a 7-5 win over the Eastman Selects on Saturday in Shoal Lake. Bradley Bowles netted a hat trick in the game. On Sunday, the Chiefs edged the Pembina Valley Hawks 5-4 in a shootout. After falling behind by a score of 4-0, the Chiefs scored four goals in the third to tie the game and send it into overtime. Taylor Sanheim had a goal and an assist, helping the Chiefs improve to 5-0 on the year and in first place in the West Division. The Pembina Valley Hawks and Southwest Cougars sit in a tie for second place in the division, while the Brandon Wheat Kings sit in third. The Westman Wolverines are moving on to the next round of the playoffs. The Brandon-based Manitoba Major Football League squad defeated the St. James Rods 34-30 in a quarter-final game in Winnipeg on Saturday. It was a monumental win for the Wolverines -- a team which consists of players from all around southwestern Manitoba -- as it was the club's first playoff game since the team's inception in 2010. The Neepawa Tigers lost 35-0 to Swan Valley in Rural Manitoba Football League action on Friday afternoon. With the loss, the Tigers dropped to 2-4 on the year. The Brandon-based Vincent Massey Vikings lost 14-0 to the West Kildonan Wolverines on Friday in Winnipeg High School Football League action. With only one game to go in the regular season, Vincent Massey sits in a tie for third place in the Kas Vidruk Division. The Rivers Rams defeated the Stonewall Rams 2-1 in overtime to win the varsity girls provincial rural high school high school soccer championship over the weekend in Altona. The Hamiota Huskies won the bronze medal after defeating the Garden Valley Zodiacs 2-1. Meanwhile, the MacGregor Mustangs won the varsity boys title after defeating Stonewall 2-0. Garden Valley won the bronze as they got past Steinbach by a score of 4-1. The rural titles are a first for both Rivers and MacGregor. Brandon product Brian Fowler ended up as a runner-up at the Neil Andrews Legends Curling Classic in the Wheat City on Sunday afternoon. Fowler lost 7-4 to Winnipeg's Clare DeBlonde in the championship final. Neepawa's Jerry Chudley lost to Brandon's Terry McNamee 7-6 in the semifinal of the Manitoba Curling Tour's King Spud Classic over the weekend. McNamee would end up being the winner of the event as he beat Carberry's Joey Witherspoon in the championship final by a score of 7-4. The Westman Wildcats defeated the Central Plains Capitals 3-1 in Manitoba Female Midget AAA Hockey League action on Saturday night. Melissa Hunt and Jaycee Magwood had a goal and an assist each for the Wildcats in the win.